07/08/2017 How do I pay my membership and affiliation fees? 10/10/2016 Nominations for the Vic Williams Trophies. 07/07/2016 World Record Status target faces! 30/03/2016 The Outdoor Season is here! 28/11/2015 Nominations for the Vic Williams Trophies. 26/08/2015 Welsh Seniors and Juniors triumph at Lilleshall - full story! 24/07/2015 Medals Galore for our Welsh Juniors and Seniors! 19/04/2015 Message from the Senior Team Manager. 21/01/2015 What does WAA do for me? 22/10/2014 Applications for Senior and Junior Teams at British National Indoor Champs. 29/06/2014 Nominations for Chair and Treasurer required. 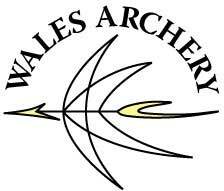 05/06/2014 Dave Phillips (Llantarnam Archers) makes the GB Para Team .